Pioneers of Blackwood – Sarah and William Edlington, and daughter Harriet and granddaughter Susanah Edlington. Research has sometimes a strange way of adding more information to a story on the history of Blackwood – such is the case after the great granddaughter of Sarah Edlington contacted the author. Sarah and William Edlington had a daughter, Harriet Edlington born in Sheffield, England in 1851, and the family came out to Australia early to mid 1850’s. 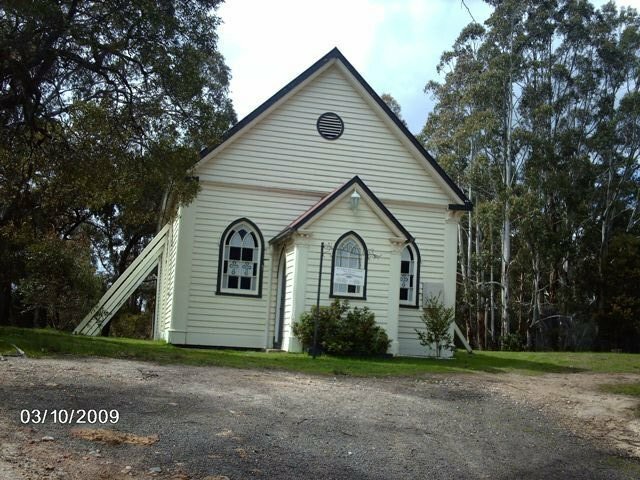 In 1868 when Susanah was aged about 2 yrs, her mother, Harriet Edlington, then aged about 18 yrs married Oto/Otto Wilson. On Otto’s marriage records he was listed as being born in America. Some records show Otto was named as Oto James or Otto Thomas. 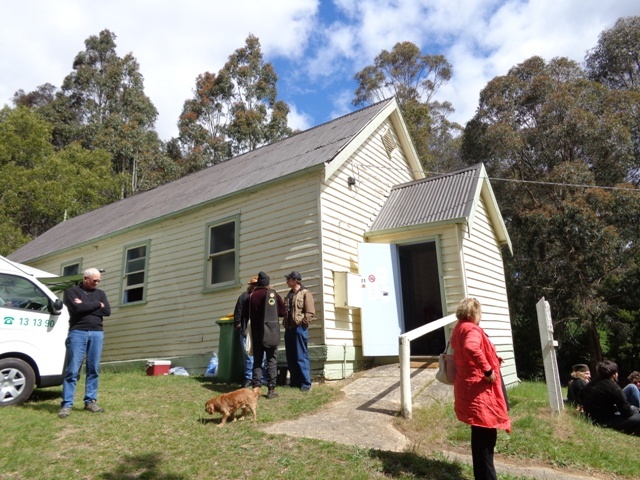 Harriet married Otto Wilson at the Methodist Church in Blackwood, now the Uniting Church. 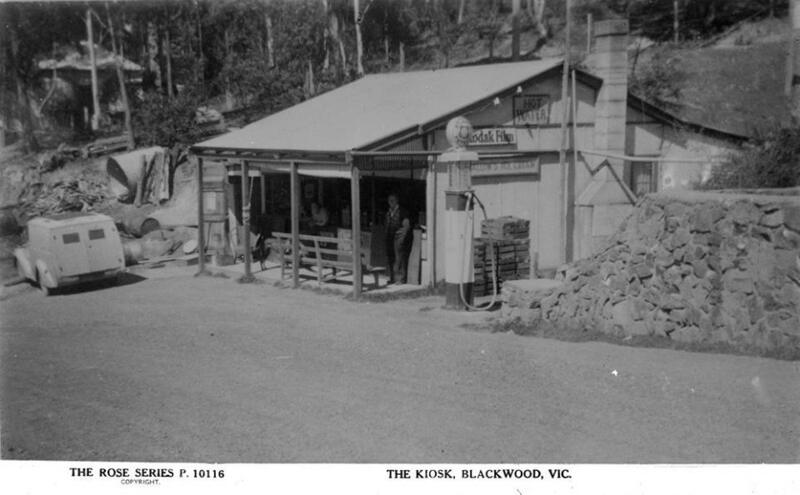 Otto worked as a miner at Blackwood. Fanny Wilson born in Blackwood in 1869. Elsie Batrisa Wilson died in 1957 at Heidelberg age 85 – father listed as James Wilson not Otto. Sarah Ann Wilson born in Blackwood in 1874. – died age 16 months in 1875. Hannah Bella Wilson born in Barrys Reef in 1876. Alice Wilson born in Barrys Reef in 1878. William James Wilson born in Barrys Reef in 1880. Frederick Henry Wilson, born in Barrys Reef in 1883. George Oliver Wilson born in Barrys Reef in 1885. (father listed as James Wilson. George Oliver Wilson died in 1960 at Camberwell age 75 yrs – father listed as James Henry Wilson not Otto. James Arthur Wilson born in Blackwood in 1890. Died in Blackwood in 1892 age 1 year. A record of what looks like S.A. (or James Arthur) Wilson is buried in the Blackwood cemetery on 11.11.1892 in the Church of England section F54. There is no headstone. Otto Wilson was Swedish, and so had anglicised his name, and his family suspect he was trying to pass as American, as he listed Boston as his birthplace on his marriage certificate, but they don’t think this is true. Harriett and Otto Wilson lived in Barrys Reef where their children were born, and it is presumed Harriett’s illegitimate child, Susanah was brought up as one of the children. 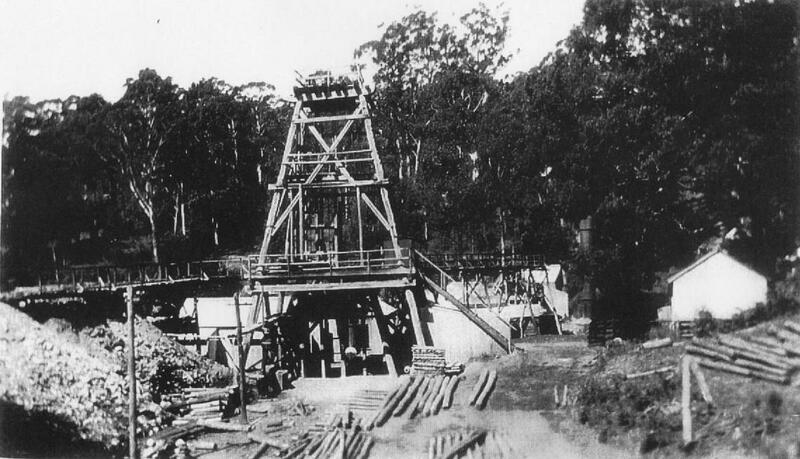 Otto managed a gold mine for an American company, and it may have been in Barry’s Reef, or possibly the Yankee mine north of Blackwood. There is an American mine in Blackwood situated on Yankee Reef called the Yankee Mine, this was more likely the mine that Otto Wilson managed. 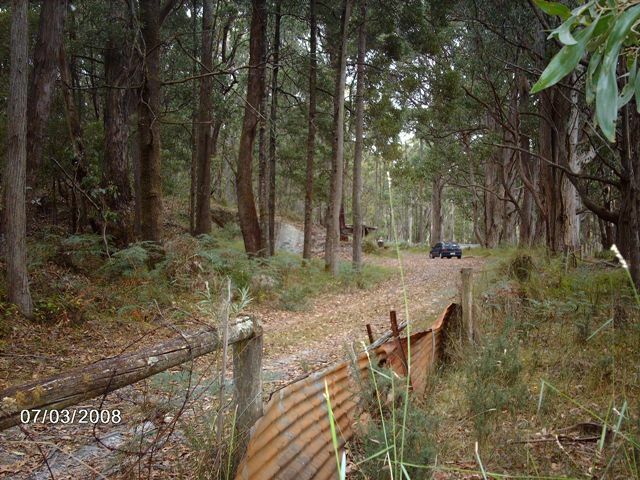 It is on a Yankee road on the left , between Blackwood and Trentham and before Amelia Track. 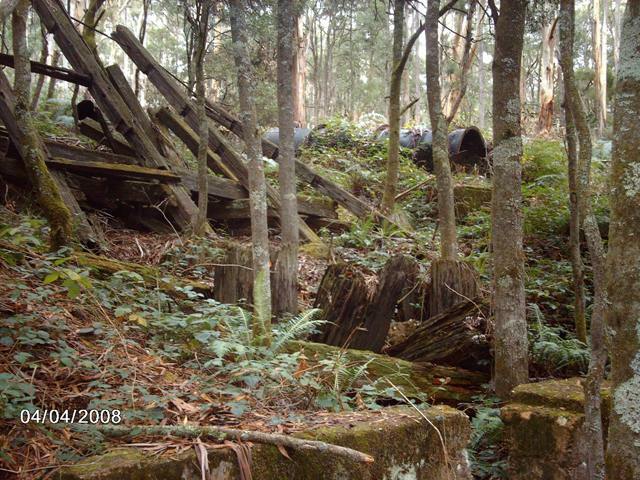 Remains of Yankee mine taken by Margot Hitchcock in 2008. Otto’s eldest daughter had a drawer full of photos, taken at the height of Blackwood’s gold rush days, with many more Hotels and photos of miners etc. plus letters to their father from Sweden. Unfortunately, after they died, a younger sister of theirs destroyed everything, she referred to it all as rubbish, and so the family lost all that valuable early history. 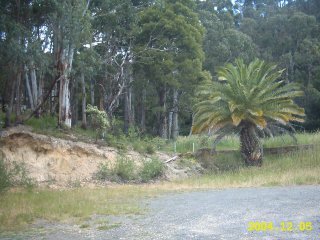 Fanny Wilson, the eldest daughter, was obviously intelligent, and was said by the relative to have been the Post Mistress at the Barrys Reef Post Office. Harriet Wilson (nee Edlington) died in 1926 at South Melbourne, age 76 yrs. (born 1851) – father listed as William Edlington and mother as Sarah Fillingham. 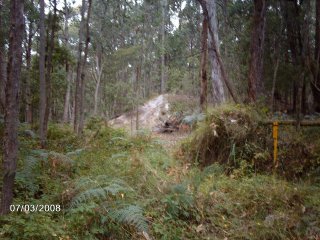 Harriet and Otto Wilson lived in Blackwood, in the Barry’s reef, area, and moved it is thought, between 1905/6, between Sarah and William’s burials, because Sarah was buried in Blackwood, William was buried in Springvale. Sarah Edlington died 13.2.1905, and was buried in the C of E section, P 49. in the Blackwood cemetery. Records reveals her father was James Holmes and mother was Ann Fellingham. Sarah died age 84 yrs in Kyneton. Harriet Wilson, after Otto’s death, lived with her unmarried daughters in Barry’s Reef, Blackwood until they sold in 1905/6, and she died in Albert Park in 1926, aged 75. .
Charles Raitt born in 1890. Allan Raitt born in 1894. Some information courtesy of the granddaughter of Harriet Edlington – Elaine Mancell, Rosebud.